The only thing that doesn't make it into my makeup obsessed self is the need to hoard makeup brushes - THANK GOD! I think if you have one brush that's good for the task that's all you really need. I mean what will you do with 20 foundation brushes, use them as a stand for your beauty blender? So here are my top three picks from my little brush collection that i couldn't go without. I love me a light contour on a day to day basis. I have quite a round face, so I think adding in a contour really helps bring out my non existent cheek bones and help slim out my slightly crooked nose. I used to be scared of having two lines down my cheeks and for it to be WAY too obvious, but this brush makes it almost impossible to do. It doesn't pick up too much product, which I like because I can just add more if i feel like I need it, and keep building 'till I'm happy. It's also a great size to fit in the hollows of your cheeks, temples, or down the sides of your nose. No weird streaks with this lovely brush. I wear blush everyday I put makeup on, without fail. I feel like my face looks too dead and flat if I don't add some color onto them cheeks. This is by far my favorite Zoeva brush too. First of all, it's rose gold..enough said. Secondly, it is SO soft and fluffy i keep wanting to just sweep it across my face for no reason. I think it picks up the perfect amount of product, and makes it so easy to blend out the color if you pick up a bit too much. The only downside is that it might stain a little because the bristles are white (mine is a teeny bit pink), but that really doesn't bother me at all. Now this is one brush department where I probably need a few more essentials, but this brush has made me lazy about going out to get them. I use this to pack shadow onto the lid, add a color into the crease, and blend out. I find it does a great job for all three, and i don't really have any others for comparison. I like that it's fluffy and the hairs aren't too short so it's really easy to use, especially if you're just starting out with eyeshadow. I think the next one I need is the MAC 217, yes? Soon. I'm desperate to get my hands on the Zoeva set, they are so pretty! 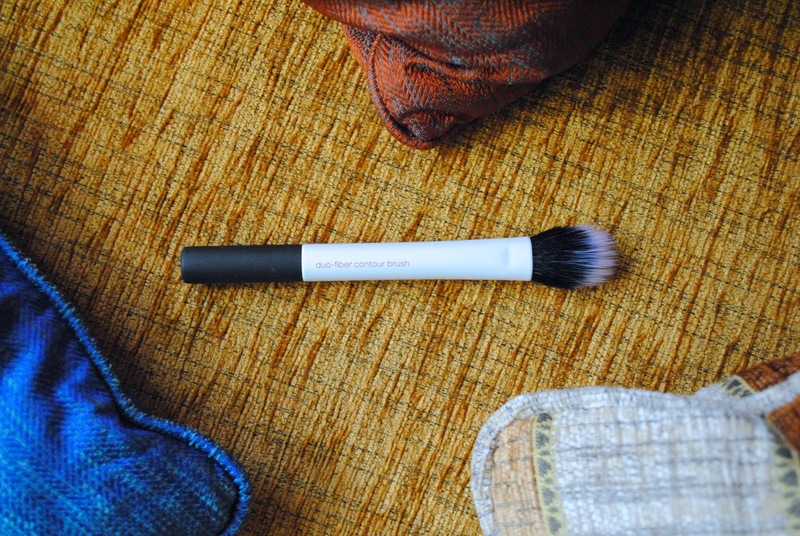 My favourite brush at the moment is my Sigma brush for contouring, it's the perfect shape! They really are! And great quality, i'd definitely recommend going for it.